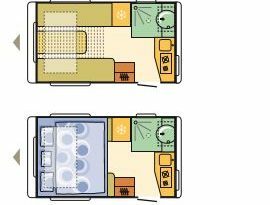 Ideal for a couple or as a starter caravan 2 berth layout, with a large lounge that converts into double bed in the front. 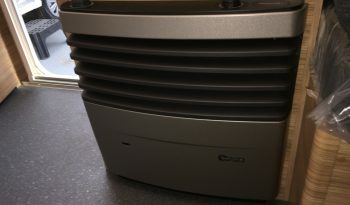 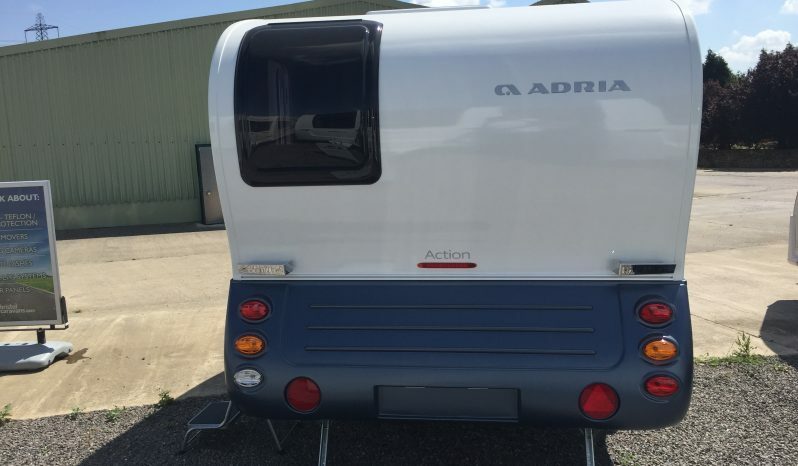 The Action is well loved, with its Original and Unique exterior Shape. 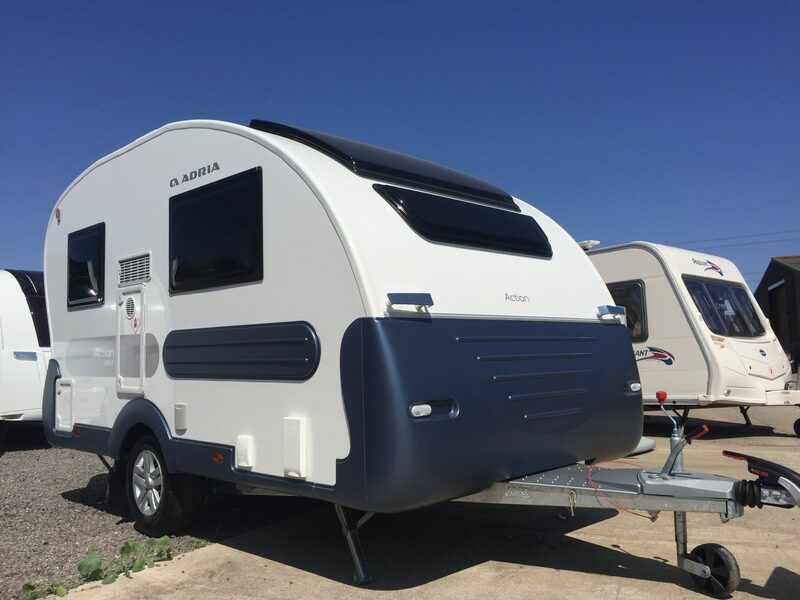 GFK body construction featuring sporty colour body moulding and matching graphics. 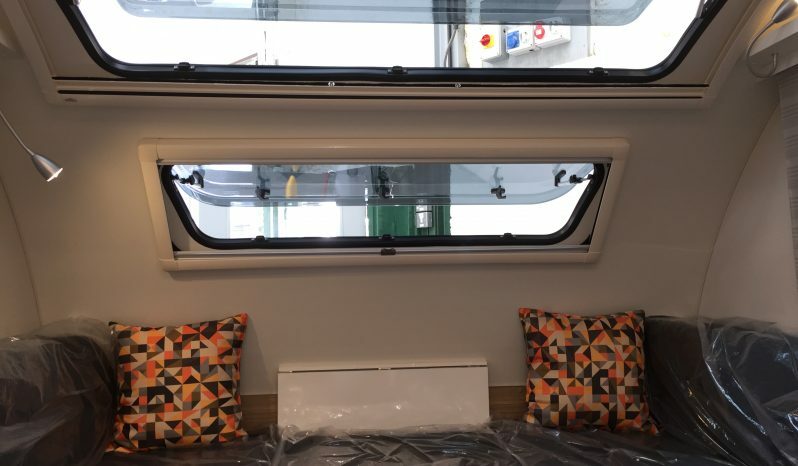 2019 sees a new up beat contemporary interior and a panoramic window being the largest in class, giving a real feel for outdoor living. 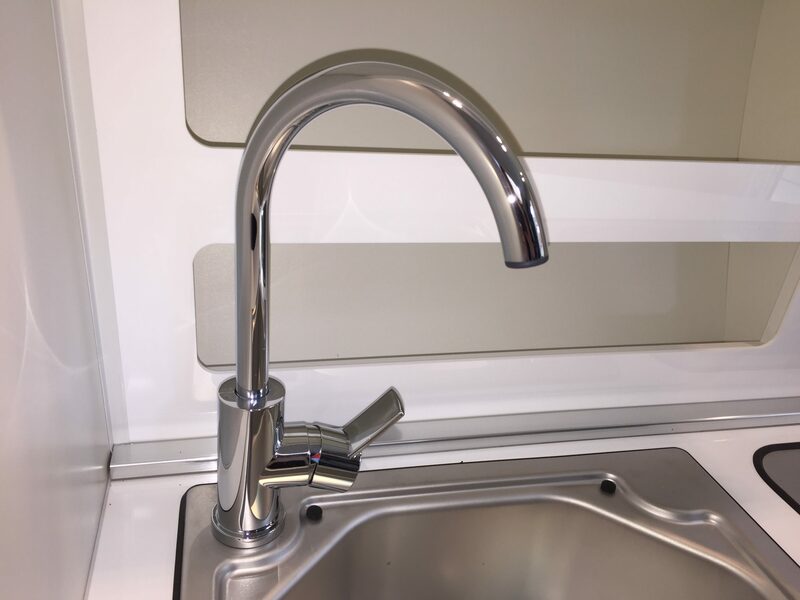 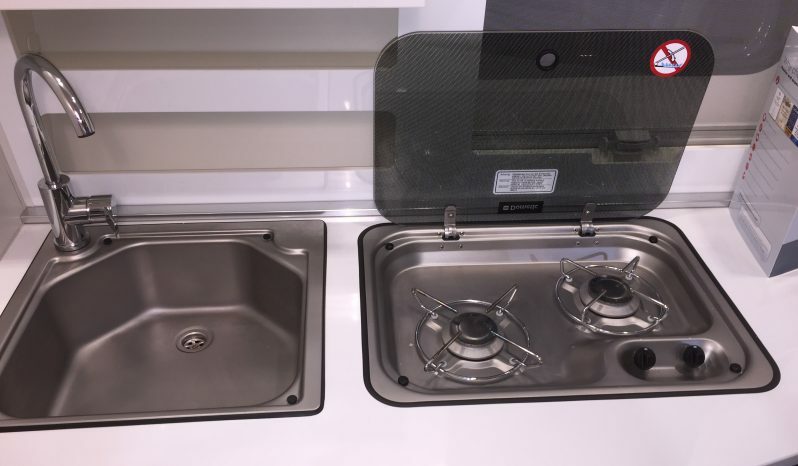 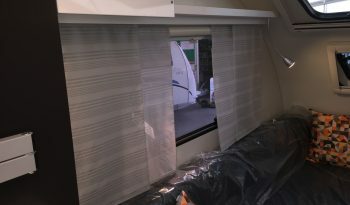 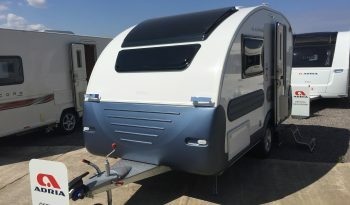 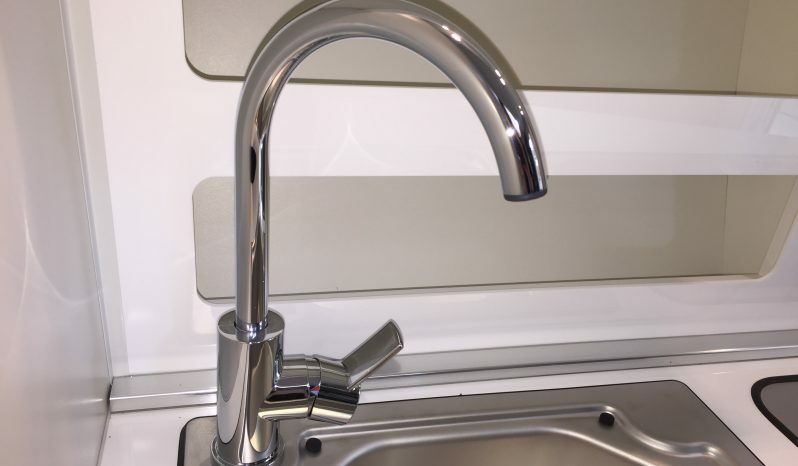 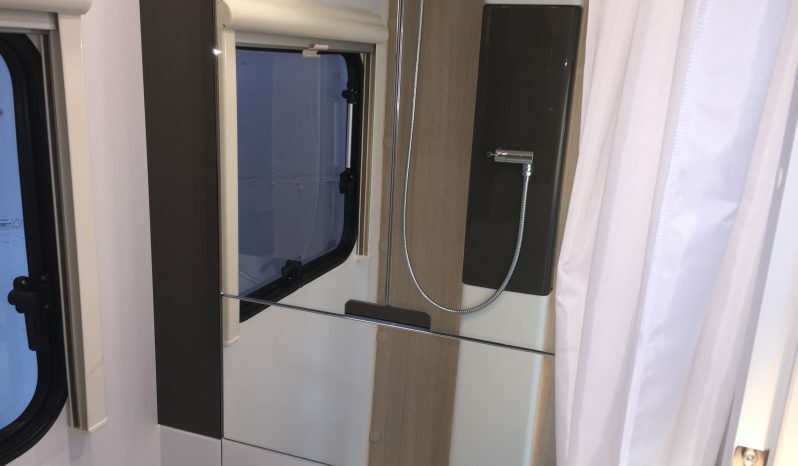 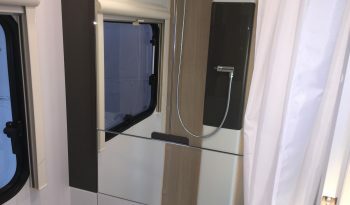 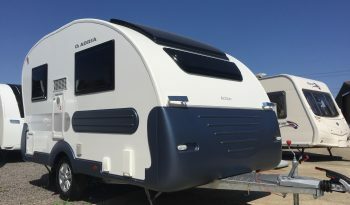 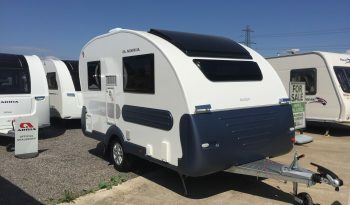 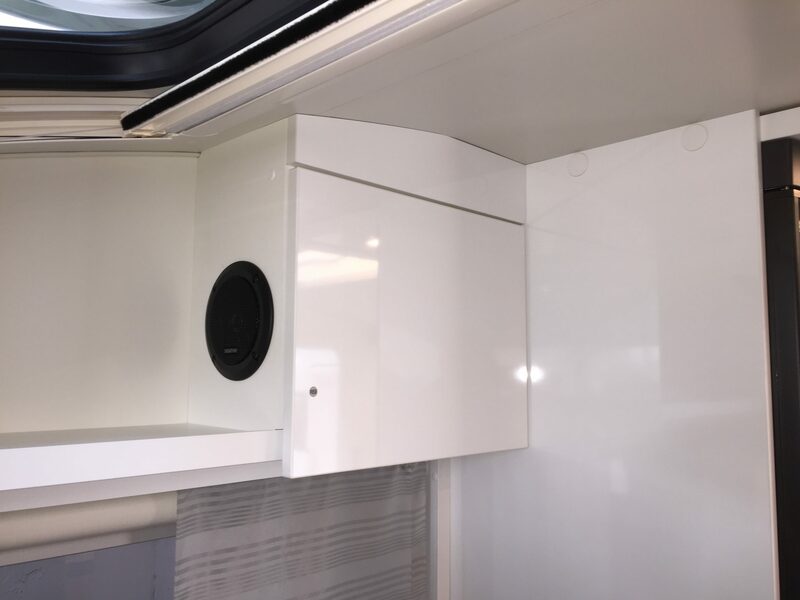 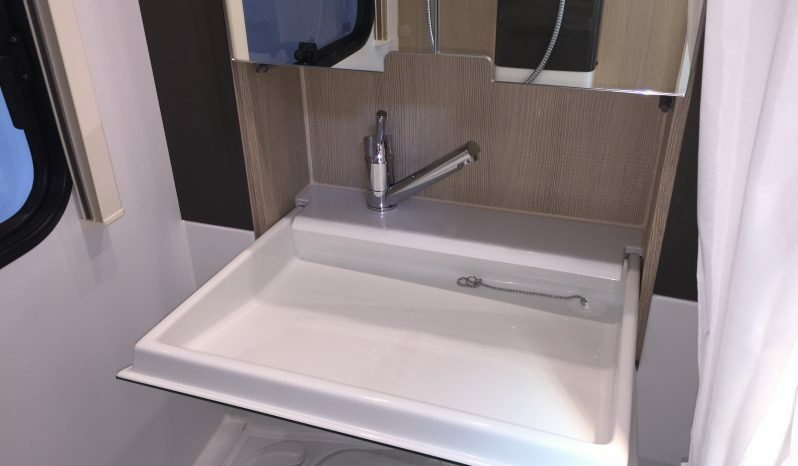 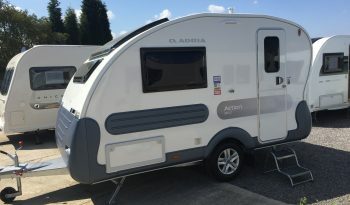 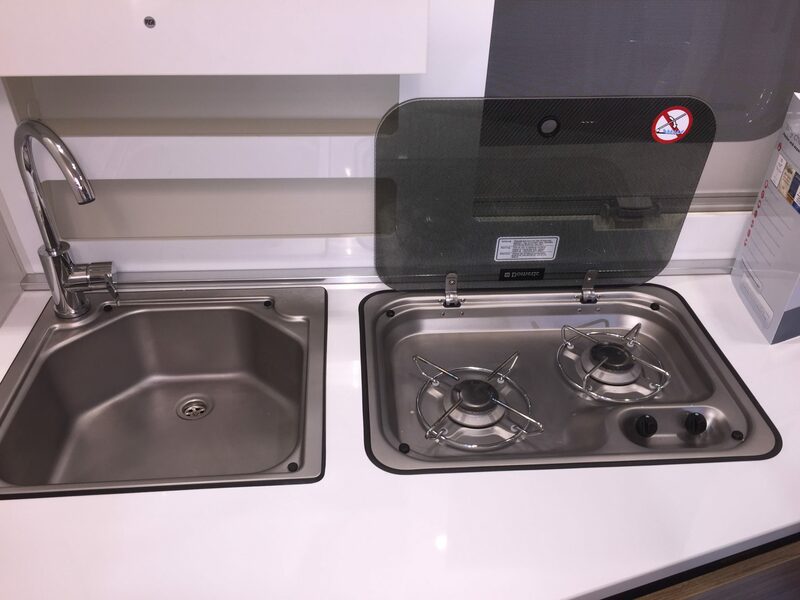 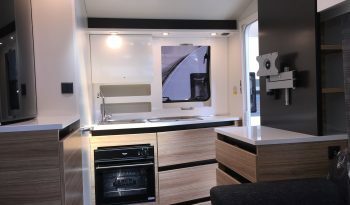 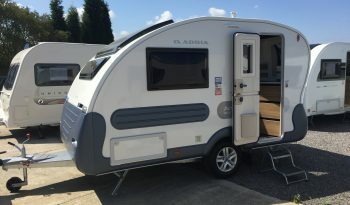 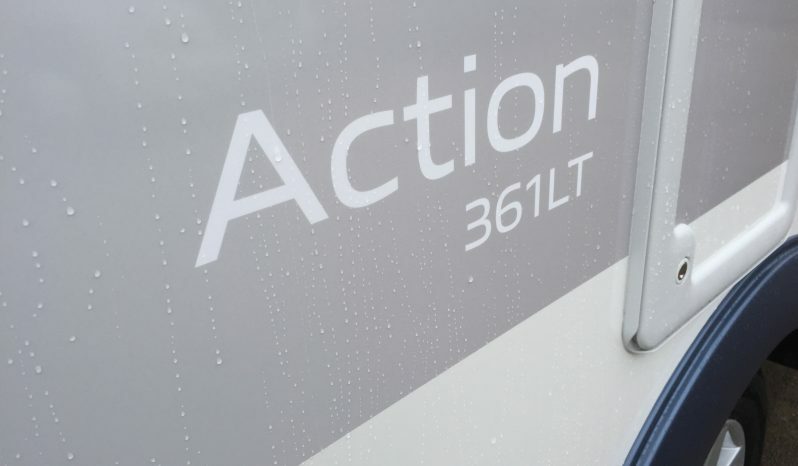 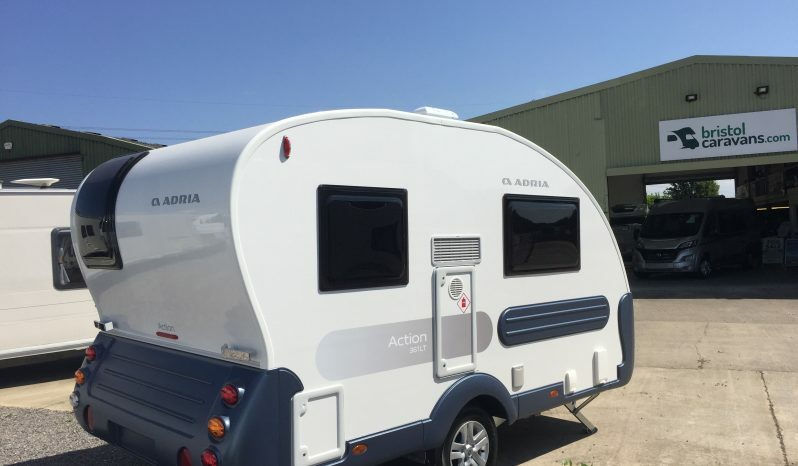 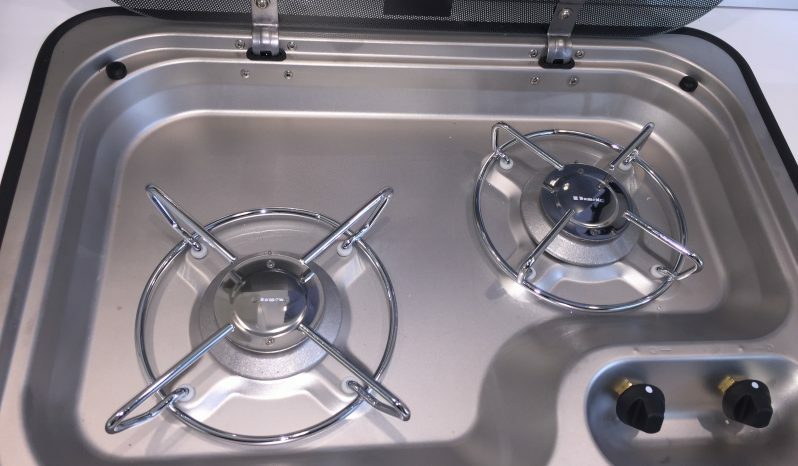 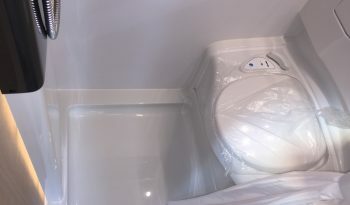 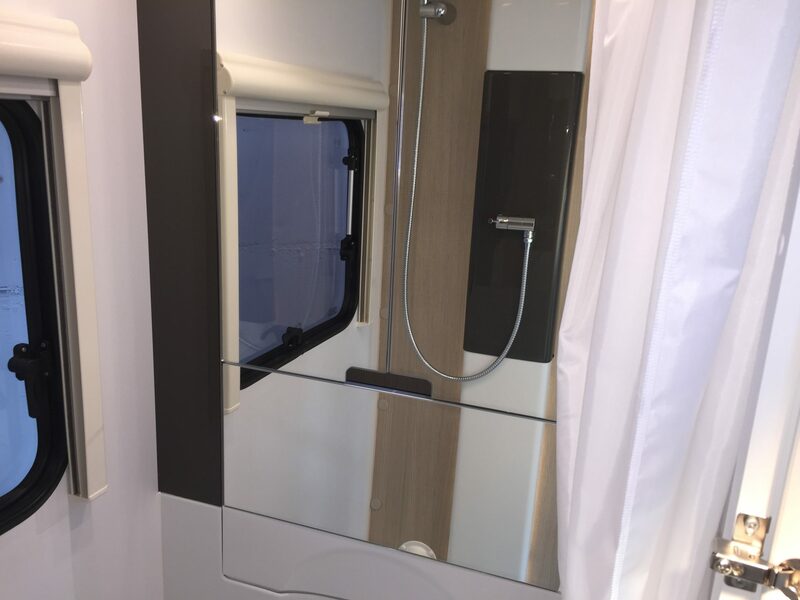 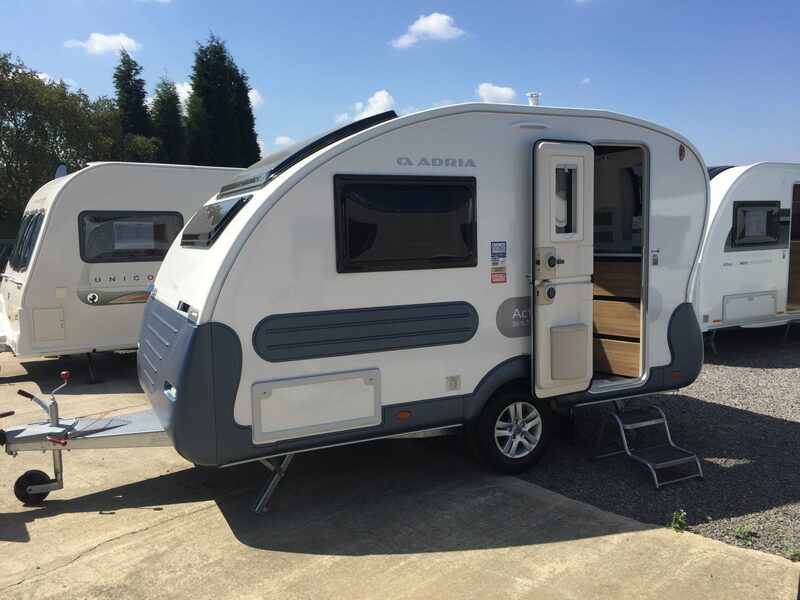 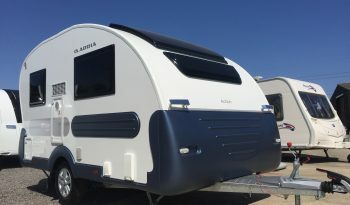 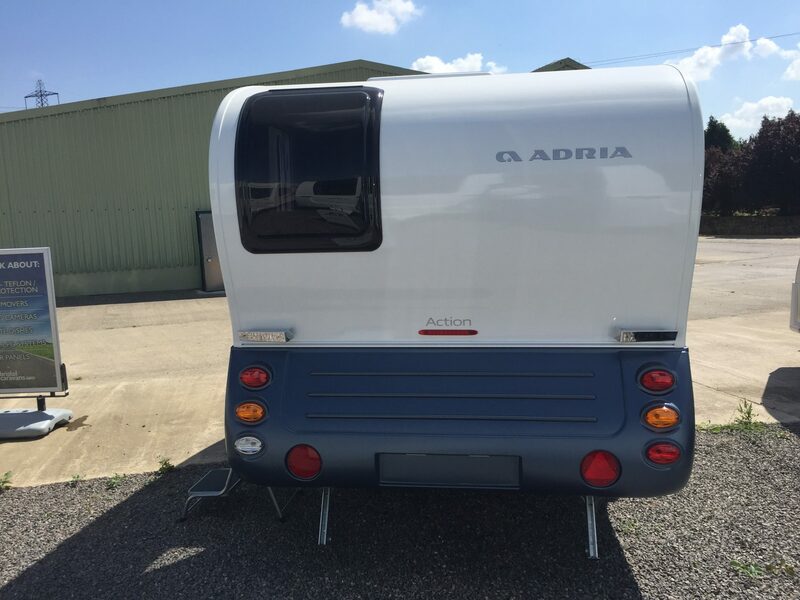 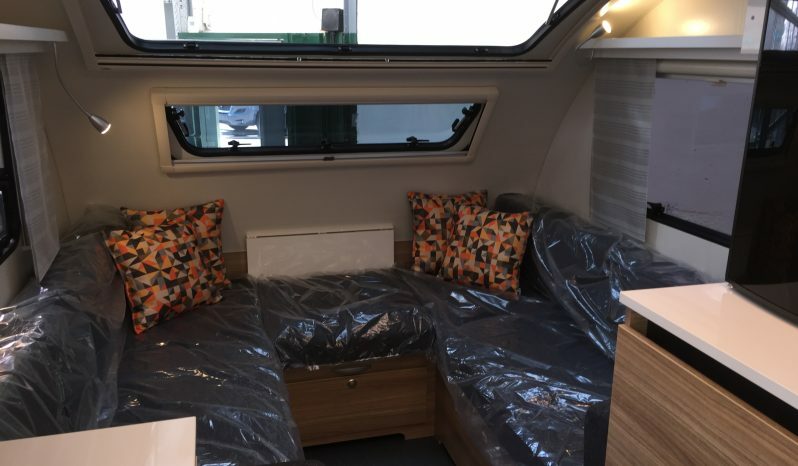 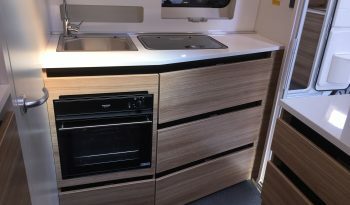 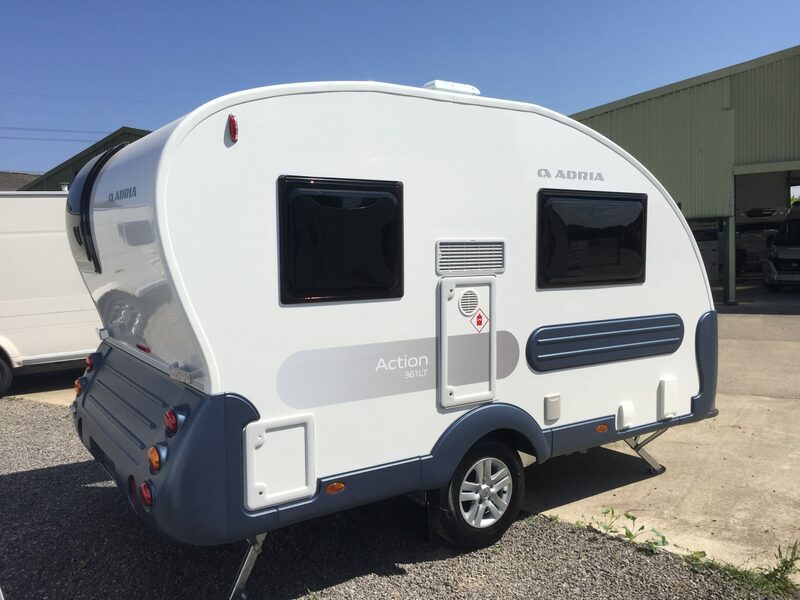 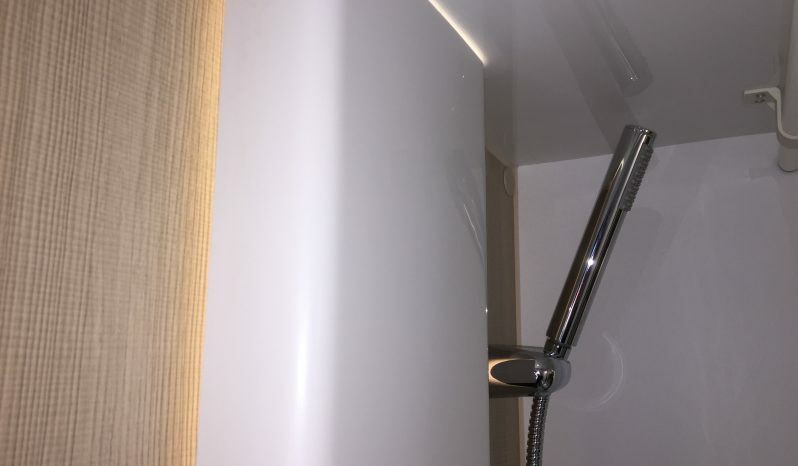 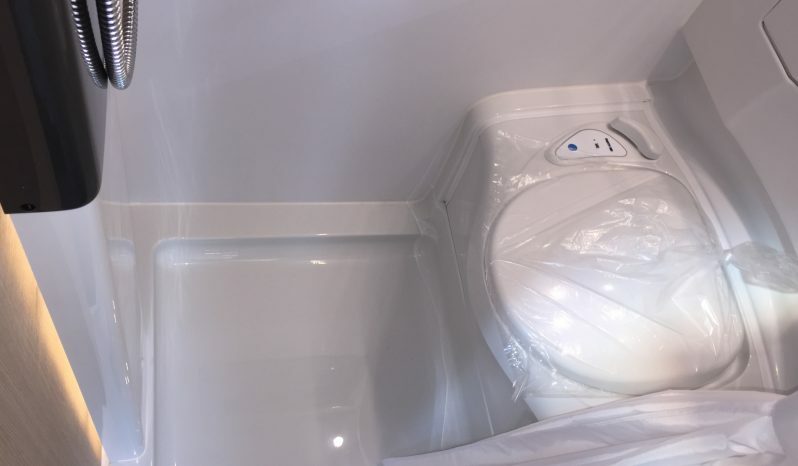 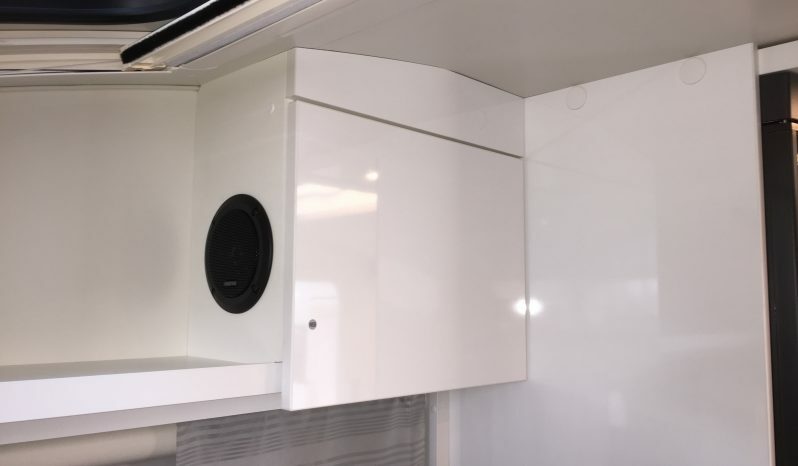 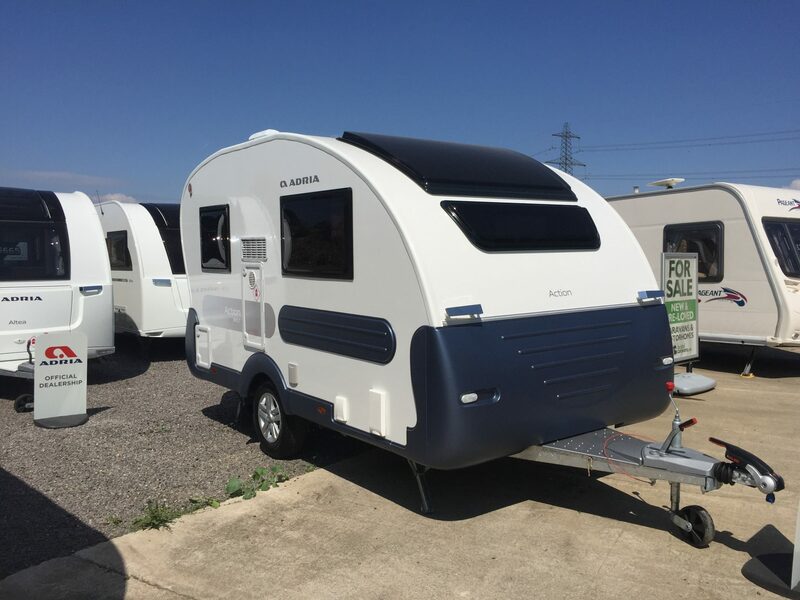 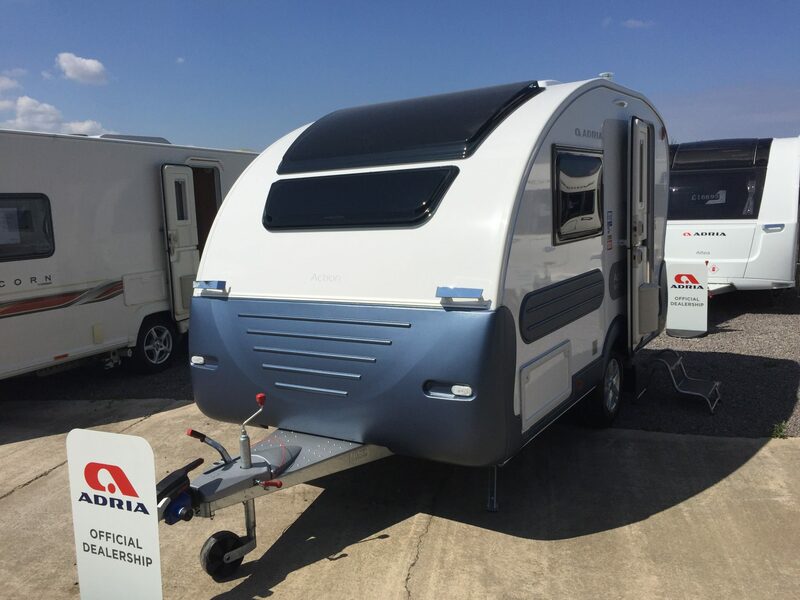 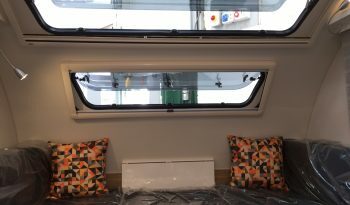 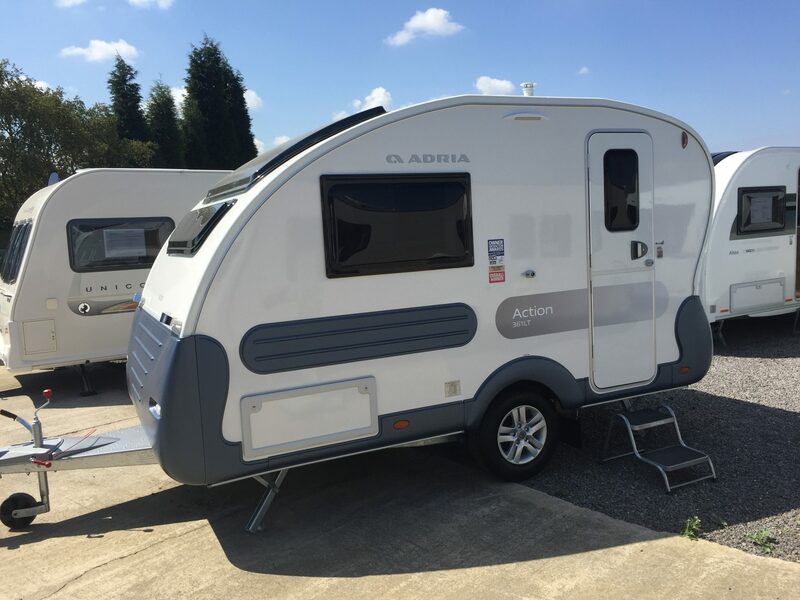 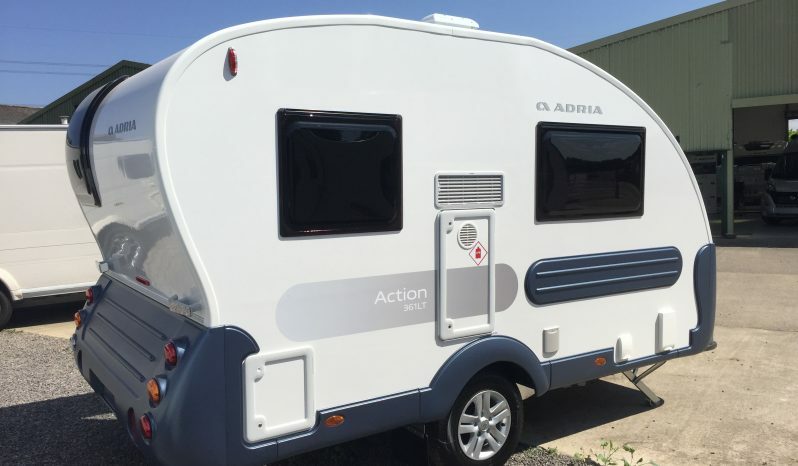 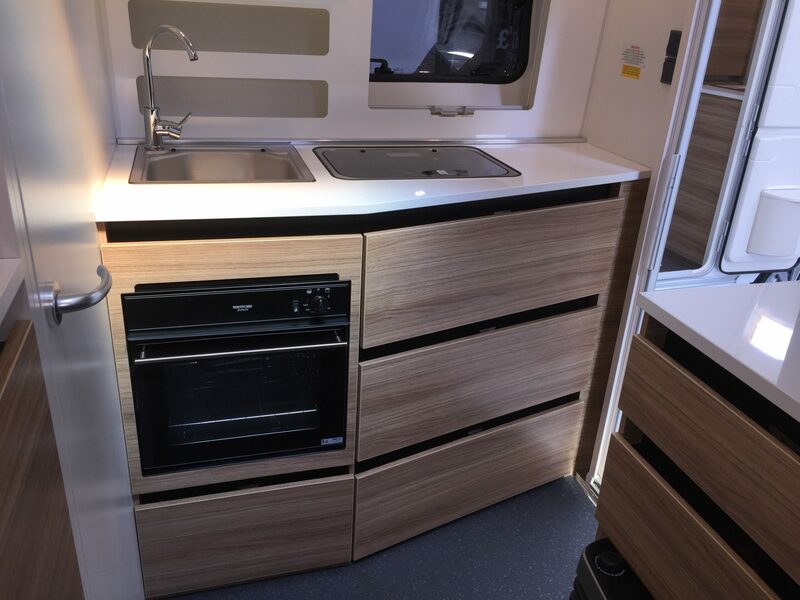 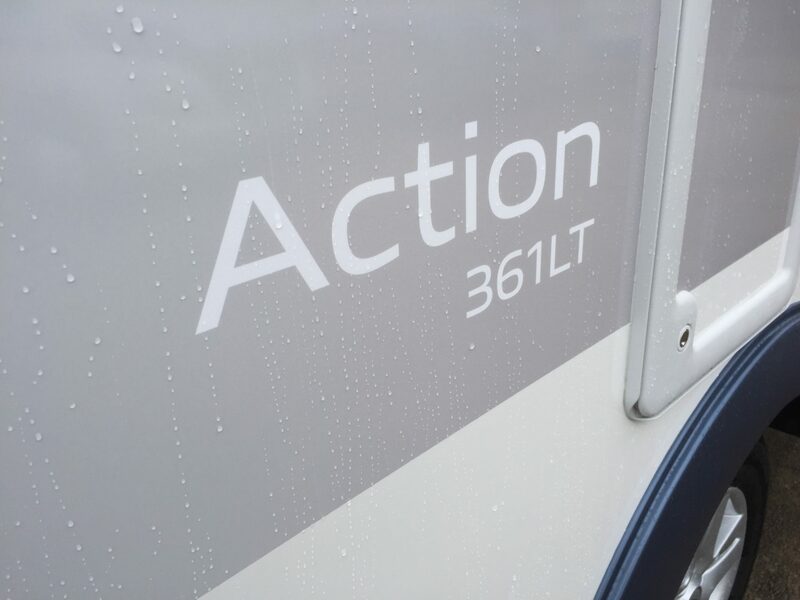 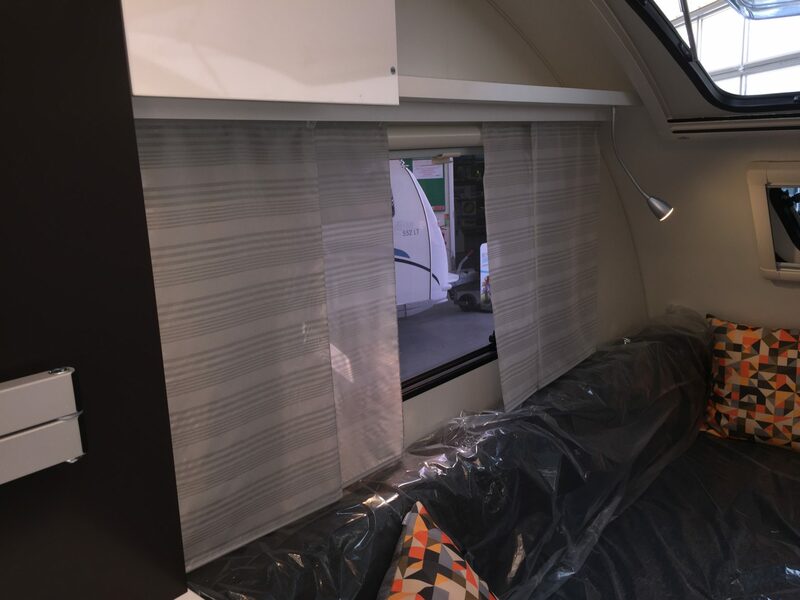 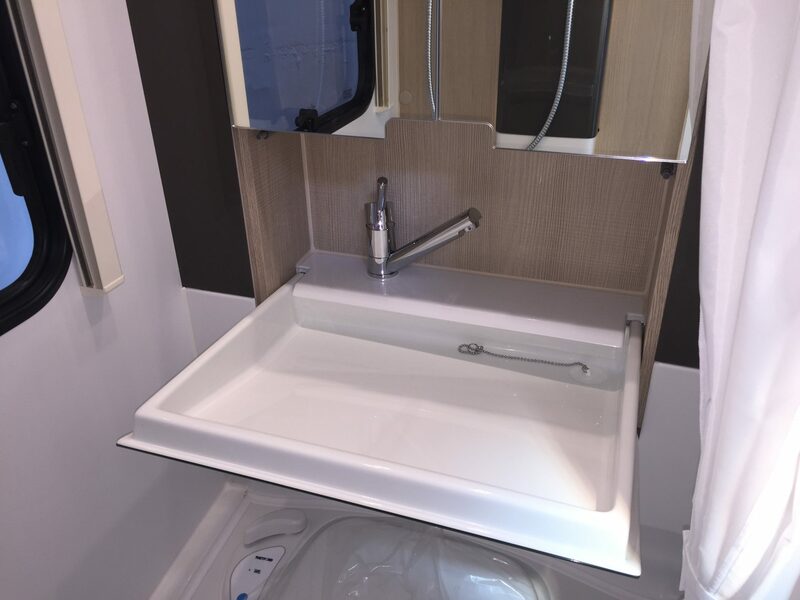 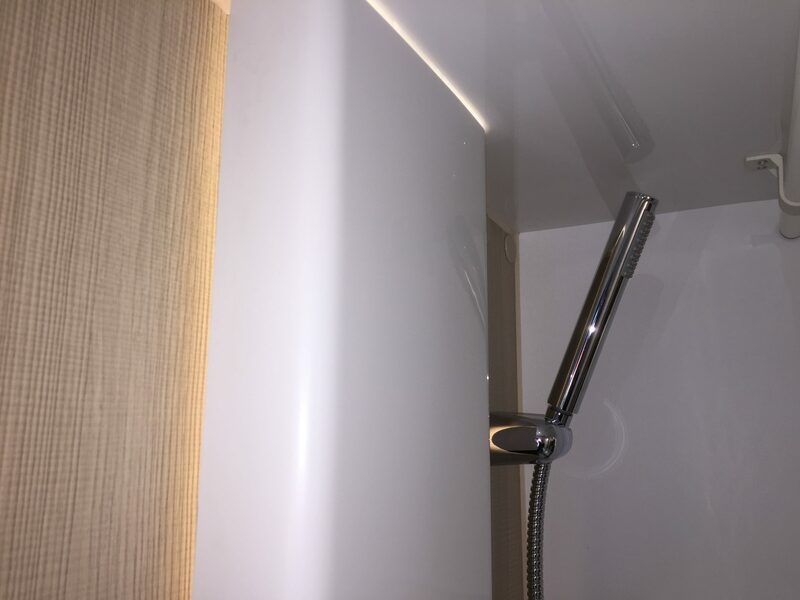 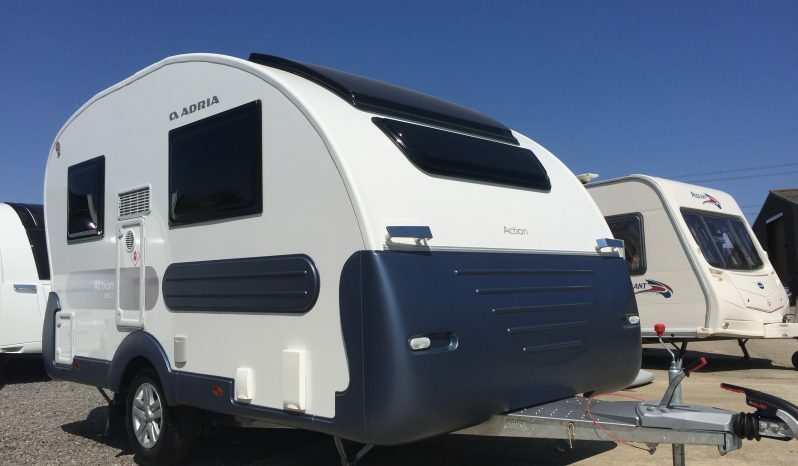 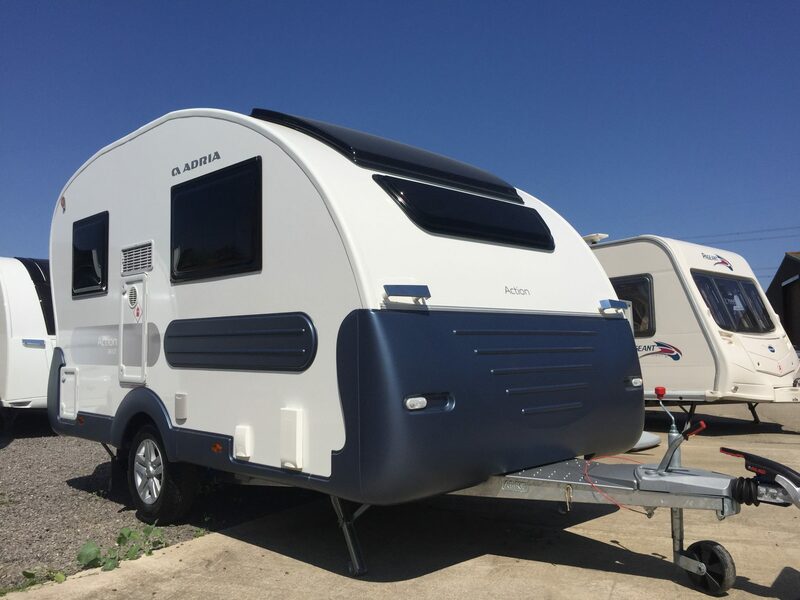 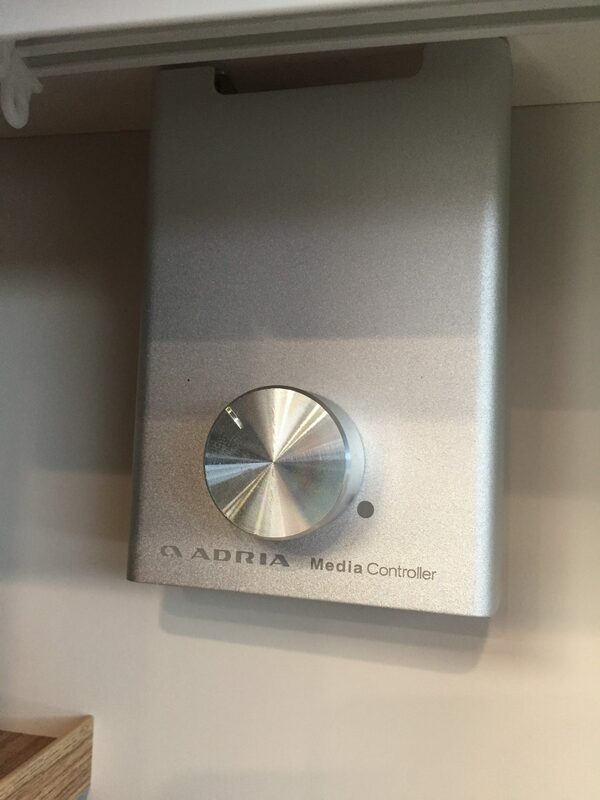 2019 Adria ACTION 361 LT – Brand new 2018 – 3 berth caravan. 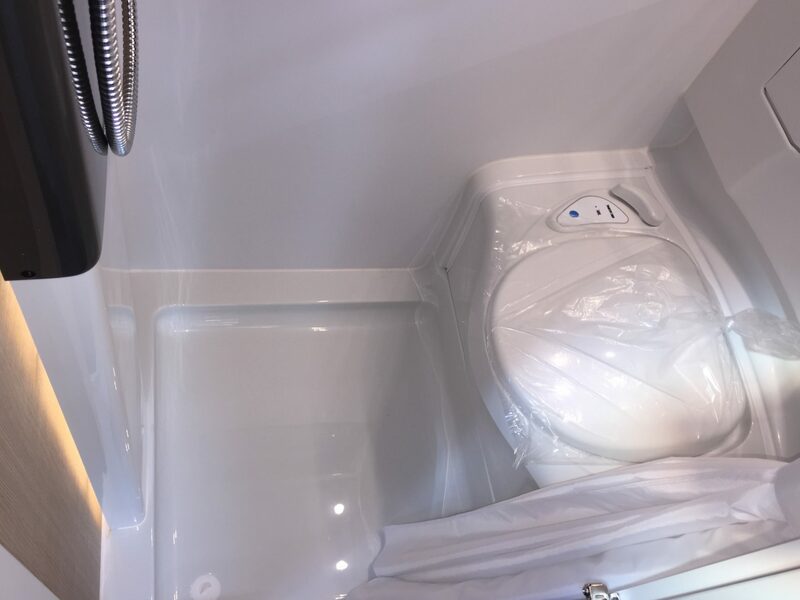 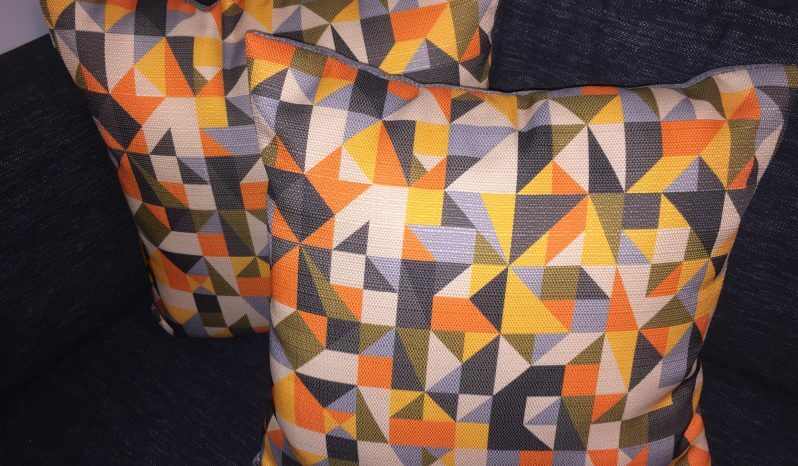 This stunning ALTEA benefits from Adria’s GFK Polyester body – light, strong and impact resistant, with GRP side panels and Panoramic Sunroof. 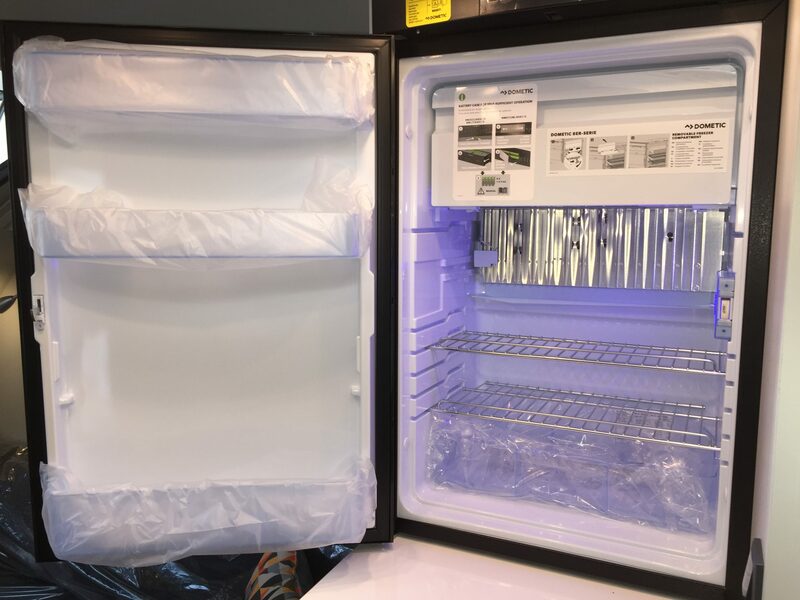 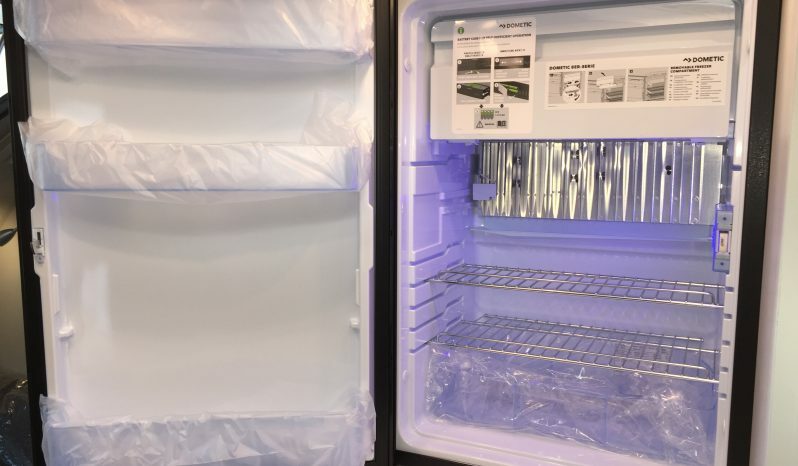 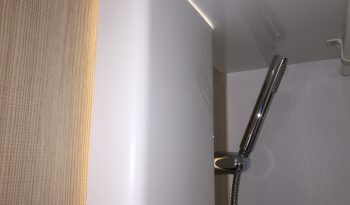 It has LED lighting inside and out. 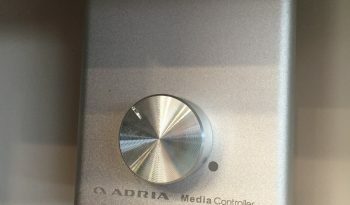 USB Socket and Bluetooth Amplifier. 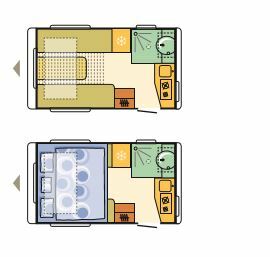 Despite the Caravan only being 4.010 m internally it has clever design features maximizing the space inside. 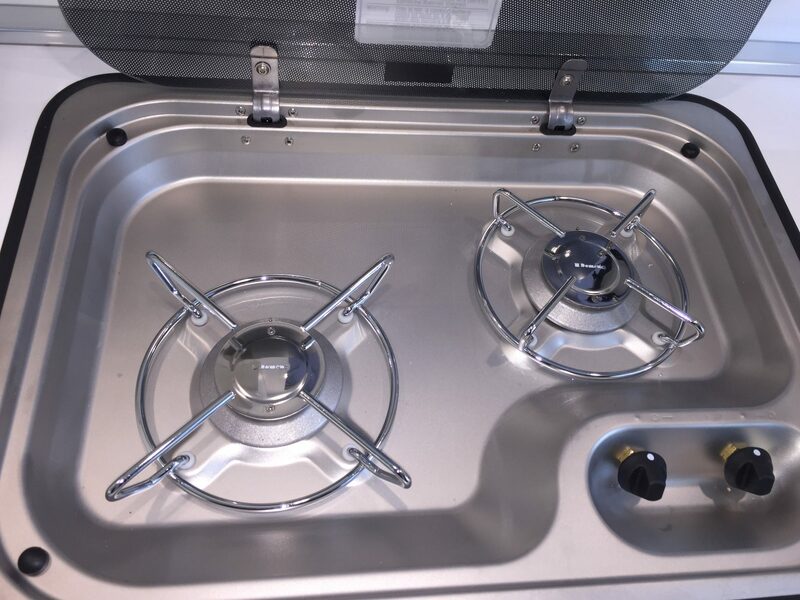 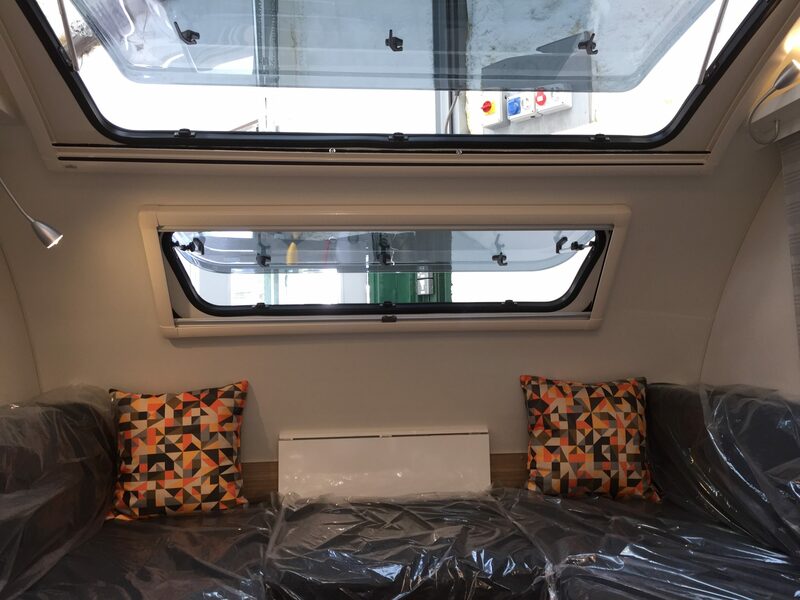 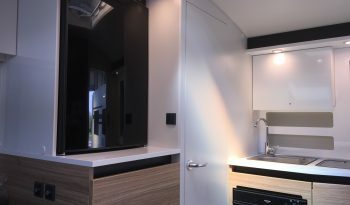 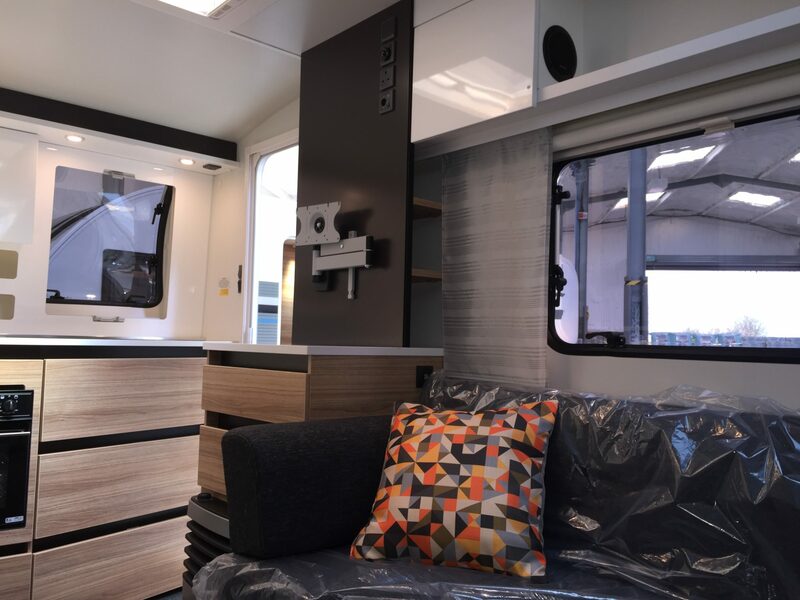 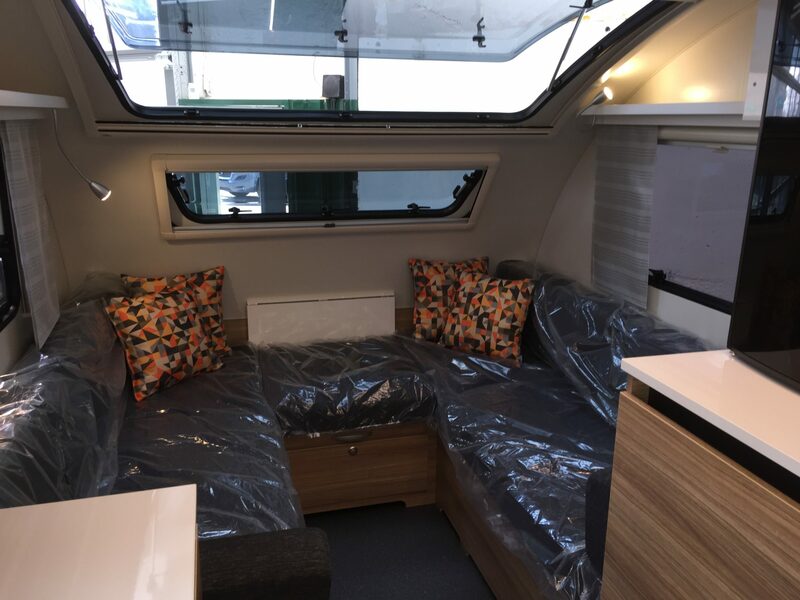 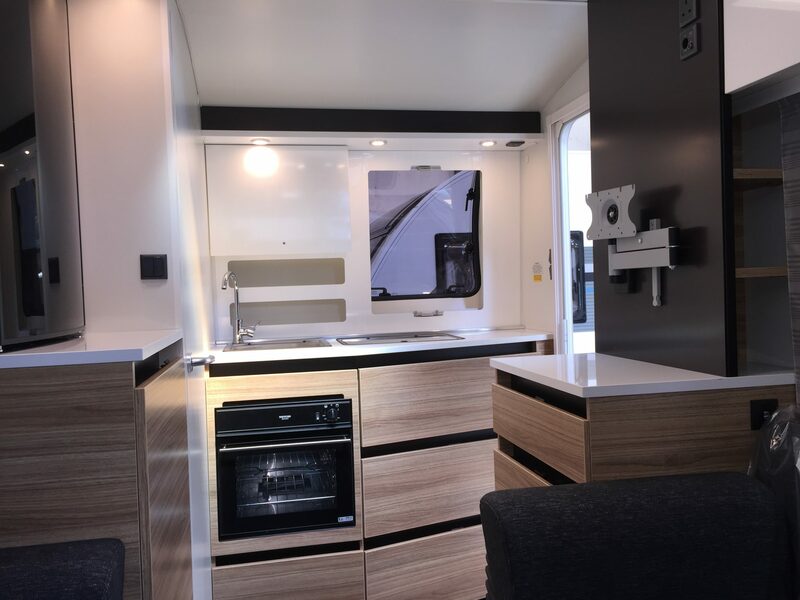 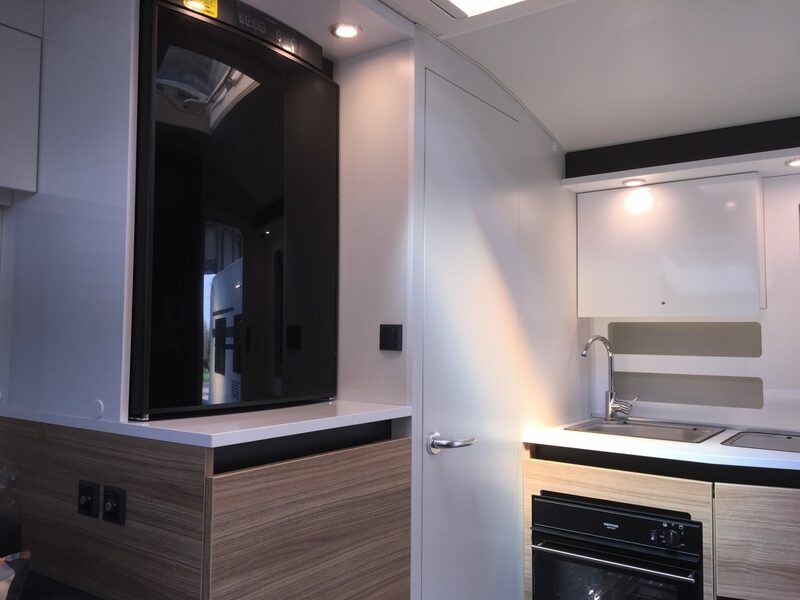 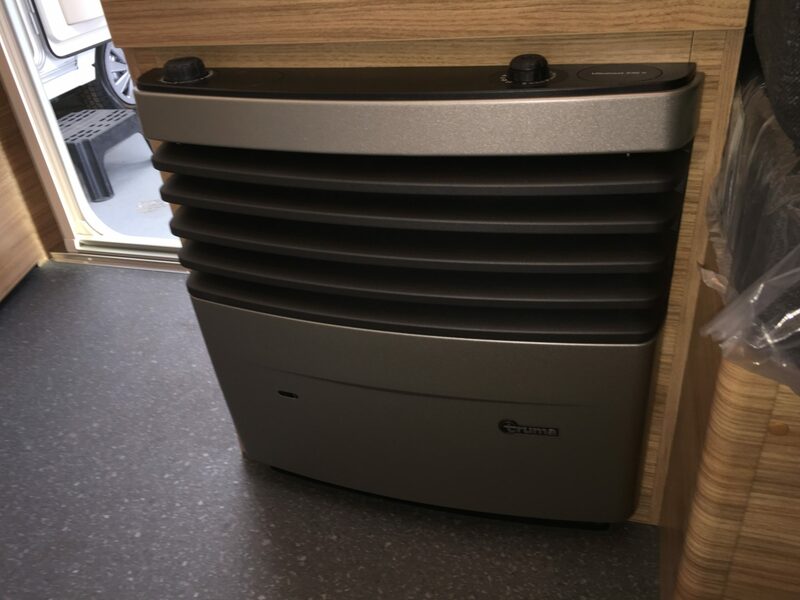 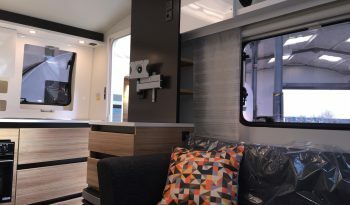 The front lounge offers wrap around seating in Brunello Black trim, it has a rear combined washroom and shower and rear kitchen, with Dometic Fridge / Freezer 12v/LPG/230v, a Truma Heater 230v & LPG and Gas Oven with 2 Burner Hob / Grill, Water heater 230v & LPG. 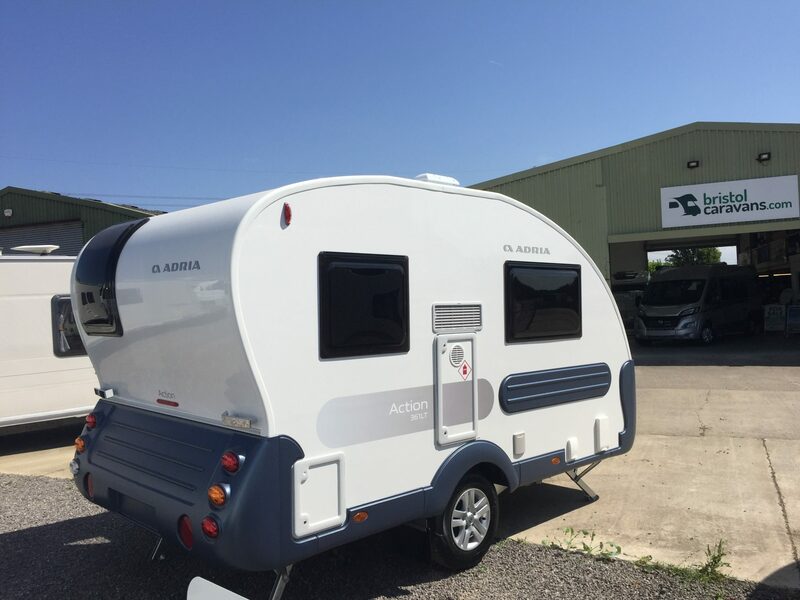 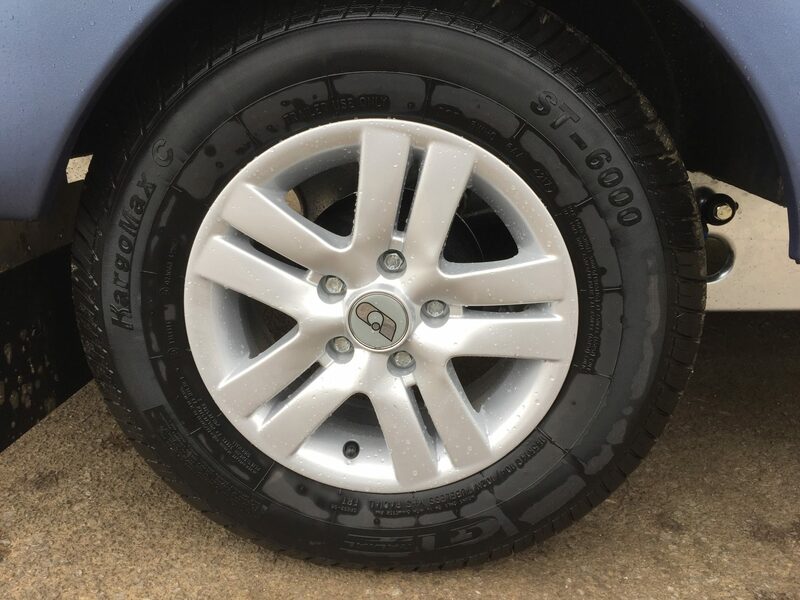 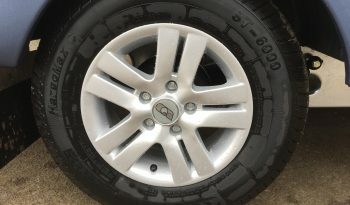 The Exterior benefits from stylish graphics and a ALKO Hitch head stabiliser, Alloy Wheels, Spare wheel.